An estate plan will put into place a strategy for the whole of your estate and help you maximise your assets so that you can both enjoy them now and ensure that you provide for your beneficiaries in your Will. A Will is one of the most important documents that anyone will ever sign in their lifetime. A Will is a legal document that states how you would like your personal assets (estate) to be distributed when you pass away. After passing, the Will states the person or organisation you would like to be responsible for carrying out your wishes and administering your estate. The people who receive your estate are referred to as beneficiaries of your estate. 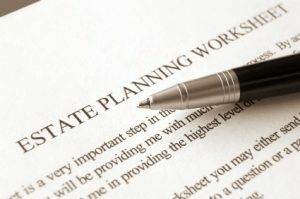 Effective estate planning ensures that the assets you own are properly documented and distributed to your estate beneficiaries after you have passed away. If you’re looking to plan for the future, talk to our team today. Our Wills and Estates team will ensure that your estate planning is clearly documented so that your wishes are carried out without any challenges or problems. Contact our experienced team today to discuss your Estate Planning needs. Our team understand the sensitivity and privacy needed to implement your estate planning needs.